Football season has arrived. 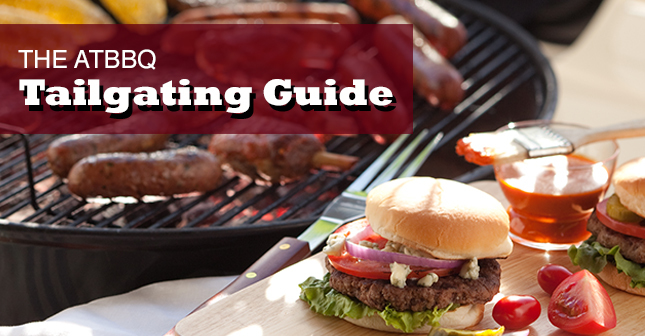 Whether you are a rabid fan or just a casual observer, everyone can agree that football season is tailgating season. Here are a few tips to make this tailgating season your best yet, and keep you safe in the process. Grill – It seems obvious, but I’ve seen people forget them. 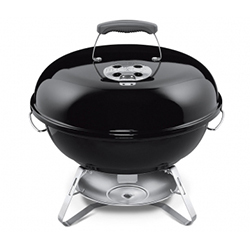 Fuel – Your grill won’t work without the necessary fuel (charcoal, pellets, propane etc. ), bring extra just in case your cook goes longer than expected. Tools – You don’t want to try and flip burgers with your bare hands… Don’t forget the spatula and tongs. Food – List out all food and condiments and make sure they’re packed, what good is a hotdog without a bun. Plates, Cups, etc. – Don’t drip ketchup and mustard all over your new jersey, get a plate! Tables and Chairs – You need space to prep and serve from, as well as a place to rest and relax. Pop-Up Shade – Shade is a must on a warm day, and it makes relaxing easier. EZ-Ups and other similar products come in many colors, so chances are you’ll be able to find one to match your team color and show-off just a bit! Team Signs and Flags – Don’t forget to show your pride by flying team flags and colors! Cooler and Ice – I always bring one for raw meat and food I’ll be cooking and one for drinks and other food supplies. Don’t skimp on ice, as running out will leave you with hot drinks, and no one wants that. Fire Extinguisher – No matter how careful you are, accidents happen. Be prepared by having a fire extinguisher handy just in case. Charcoal Ash Bucket – Some stadiums have ash bins, but just in case, having a galvanized metal container to place ashes in is just common sense. Even if they have an ash bin, having a bucket makes it easier to carry ash to be disposed of. No one ever sets out to prepare food that would make someone sick, but it still happens. The first step in making sure all prepared foods are safe is transportation. Make sure you have a good cooler filled with ice to transport all raw meats and other items so that they arrive at the tailgate at the proper temperature. Don’t remove items from the cooler until it’s time to cook to ensure they stay cold. Once your grill is ready, remove the meat and cook it as you would at home. When preparing meat, it’s helpful to have a guideline of minimum temperatures to make sure everything is thoroughly cooked. Here is a blog post on proper food temperatures and using a food thermometer that will give you a good foundation for making sure everything is prepared properly. If you are going to be preparing foods on site, make sure you have hot soapy water available to wash all utensils to limit any chance of contaminating other foods. Rinse cutting boards between uses, or better yet, use a disposable cutting board to do away with this hassle completely! Finally, don’t allow food to sit out. Try and cook your food as close to when you want to serve it as possible. If you must cook ahead of time, bring an extra cooler to store the food in. This will help keep the food’s internal temperature from falling too much before serving. All stadiums will have rules regarding parking, tailgating times, and other regulations set up for the safety of you and everyone around you. Make sure you know the rules before you show up to keep from having any problems with parking attendants and security. If you are unsure of the rules, most teams will have a specific section on their website that breaks down anything you need to know. RVs and motorhomes must enter the parking lot through gate 6. We carry an array of portable grills that are easy to set up and will have you tailgating in no time! Here are a few of our favorites. Weber Smokey Joe – Perfect for cookouts, tailgate parties, and car camping, Weber’s Smokey Joe Silver grill is the classic traveling grill. With its 14-1/2-inch-diameter grate, the Smokey Joe Silver easily cooks three steaks at a time or twice as many burgers. The porcelain-enameled bowl and lid resist rust and deliver even heat. To top it off, Weber throws in a 31-page owner’s guide filled with cooking tips and time-tested recipes for grilling everything from pork chops to bratwurst to Cornish hens. 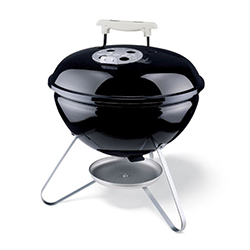 Weber Jumbo Joe – Go big or go home with the Jumbo Joe charcoal travel grill from Weber. Perfect for picnics, camping, and tailgating, this portable grill offers 240 square inches of cooking area. A rust-resistant aluminum damper provides the proper airflow for perfect grilling, and the porcelain-enameled bowl and lid won’t rust or peel. The Tuck-N-Carry lid holder locks the lid in place for easy transport. 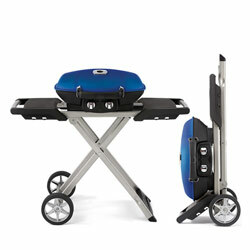 Napoleon TravelQ TQ285X on Scissor Cart – Anywhere, anytime, the life of a grill enthusiast is not always a stationary one. Many like to go camping or visit the countryside for a holiday. On a boat, RV, or even in a condo where outdoor space can be limited, these portable grills provide for those on the go. There is nothing better than wowing your friends and other fans with great recipes. Here are some of our favorite recipes that will take your tailgating to the next level!